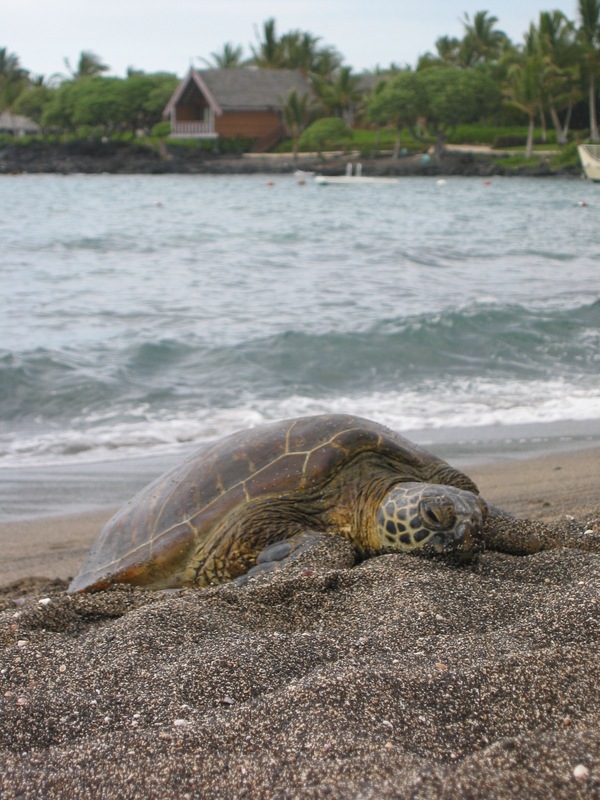 Legend says that the honu, green sea turtles, watch over the children of Hawaii. 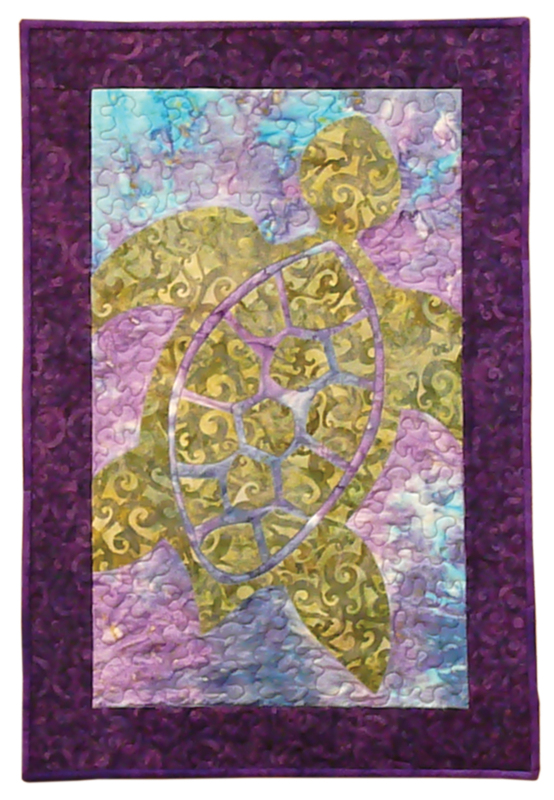 The Honu Sea Turtle Quilt pattern is available—$10 plus s/h. For more quilts and behind the scene photos of Aloha Rose, visit http://www.pinterest.com/quiltsoflove/aloha-rose-by-lisa-carter/. Traditionally, the breadfruit pattern was the first tackled by would-be Hawaiian quilters. To those who complete this quilt, legend says, will be a fruitful life, filled with wisdom and knowledge. Visit this site for free breadfruit quilt pattern—Be sure to observe all terms and conditions. Pacific Rim Quilt Company—Janice Lee Baehr was a great help to me in researching the Lokelani Rose quilt featured in Aloha Rose. Lots of great info on their website—http://www.prqc.com/. Maui Quilt Company —thanks, ladies, for your kindness to this traveling haole quilter. 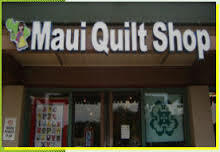 Visit their website at www.mauiquiltshop.com . Hawaii is famous for its distinctive quilt tradition in which a large stencil-like pattern is appliqued onto a base fabric of contrasting color to form the quilt top. 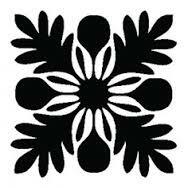 Designs are inspired by the native flowers, leaves, marine life, or by symbols of Hawaiian royalty. Each island is associated with a particular blossom. 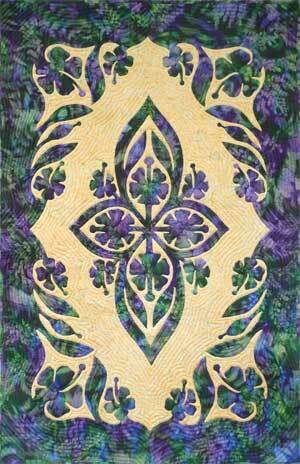 I designed the Lokelani quilt after the Lokelani rose, the island flower of Maui. 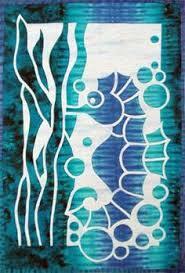 Four methods of creation and construction of a quilt, when combined, give Hawaiian quilts its distinctive quality. Traditional quilts are designed with only two color fabric choices. The applique fabric is folded and cut in a “snowflake” method reminiscent of the paper snowflakes many of us remember from our schooldays. This fabric is then hand-appliqued onto a white, background fabric. The quilt sandwich is constructed using an echo or outline style of hand-quilting that follows the contour of the applied design. To me, the echoes resemble the rippling waves of the ocean surrounding their Hawaiian homeland or the rainbows that arch above the island sky. 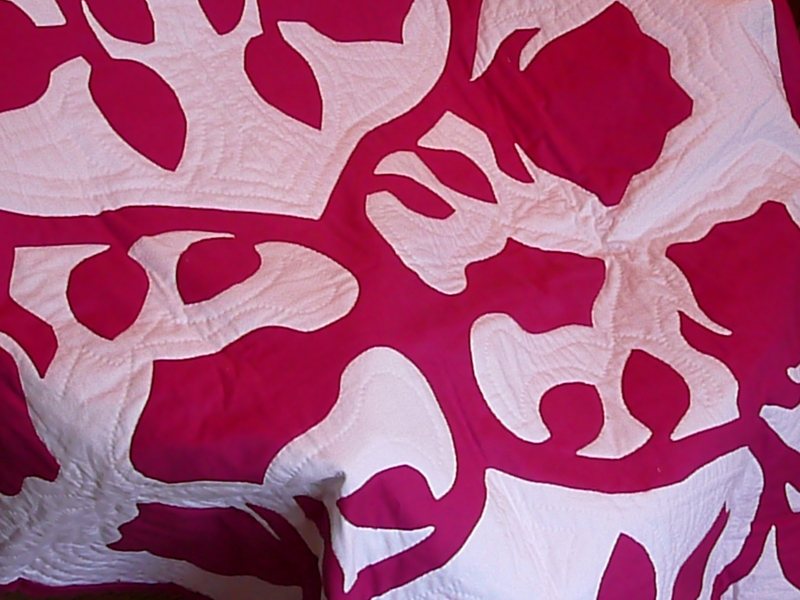 Historically, Hawaiians made bedcovers from kapa, a tree bark that had been beaten, felted and dyed. Western missionaries introduced Hawaiians to American quilting methods and fabrics in the 1820s, resulting in the bold, symmetric botanical motifs of the Hawaiian quilting we know today. 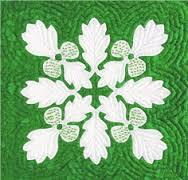 Hawaiian tradition teaches if quilters begin with the breadfruit pattern, they will lead a fruitful life, filled with wisdom and knowledge. And Hawaiian quilters were quick to recognize the making of a quilt, as Laney discovers in Aloha Rose, is itself a spiritual journey. For more behind the scene photos of Aloha Rose, visit http://www.pinterest.com/quiltsoflove/aloha-rose-by-lisa-carter/. 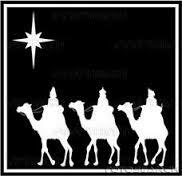 This Christmas, may you find in Him all you seek. He is The Way, The Truth, The Life. Mele Kalikimaka from Aloha Rose. The donut of choice in the Hawaiian islands—most recipes are family favorites, handed down from Portuguese ancestors who made Hawaii home. In small bowl, beat eggs until fluffy. Put flour and salt in large bowl, making a well in the center. Into the well add yeast mixture, eggs, 1/2 cup sugar, melted butter, milk, 1 cup water, and salt. Beat thoroughly to form a soft, smooth dough. Cover, let dough rise until doubled. Do not punch down. Turn dough over and let rise again. Heat oil to 375 degrees. Drop dough by big teaspoonfuls into oil, fry until golden brown. Drain on paper towels, shake in a brown bag containing extra sugar to coat, and serve hot. 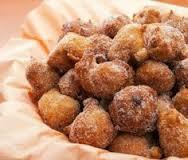 If malasada centers are too doughy, turn down heat on fryer and allow donuts to cook longer before removing from oil. Enjoy. Remember—Kai Barnes says only haoles add nutmeg or cinnamon to sugar mix used to coat hot donuts. For more recipe and behind the scene photos of Aloha Rose, visit http://www.pinterest.com/quiltsoflove/aloha-rose-by-lisa-carter/. For a well-deserved break from Winter—my Christmas gift to you. Brought to you by Aloha Rose. 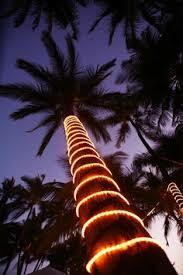 Protestant missionaries introduced the Christmas holiday to the Native Hawaiians with their arrival around 1820. 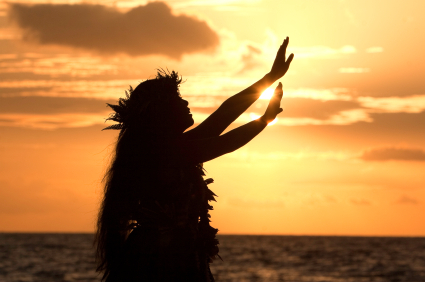 Before the arrival of the missionaries, Native Hawaiians celebrated a festival named Makahiki which lasted four months and in which all wars were forbidden. The season contained the essence of “peace and goodwill to all men”. 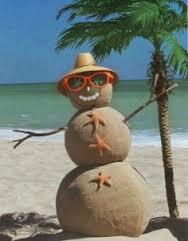 The first recorded Christmas in Hawaii was in 1786, when the captain of the Queen Charlotte, was docked at Kauai. Captain Dixon and his crew celebrated a large Christmas dinner which included a whole roast pig. Christmas traditions are similar to other places in the United States—a large meal is eaten and then, as the beach is often nearby, surfing or swimming takes place after the meal, Families break out the guitars and ukuleles, and hula dances are performed. Instead of fir and cedar, Hawaiian Christmas wreaths are often made of poinsettia. The traditional Santa’s sleigh and reindeer are replaced by an outrigger canoe pulled by dolphins. The different cultures and ethnic groups that have settled in the islands celebrate the Christmas traditions of Hawaii in their own unique ways, which may be religious or secular. 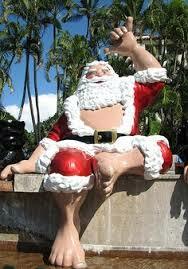 Santa Claus—known as Kanakaloka—has shed his fluffy red, white fur-trimmed suit for more suitable aloha-style fashion. 1. Salt and refrigerate chicken for 30 minutes. 2. Combine remaining ingredients and place with chicken in crockpot. 3. Cook on high 2-3 hours. 4. 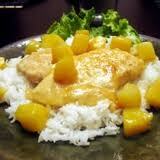 Prepare jasmine rice according to box instructions, substituting coconut milk for water. Garnish entree with pineapple chunks. For more recipes and behind the scene photos from Aloha Rose, visit http://www.pinterest.com/quiltsoflove/aloha-rose-by-lisa-carter/. How can it be used—as in Kai’s dream in Aloha Rose—to treat returning veterans with more invisible wounds? Read this excellent article to find out what you can do to help.